Hormone replacement therapy can help but it increases the risk of cancer, so proper nutrition is the ultimate solution. 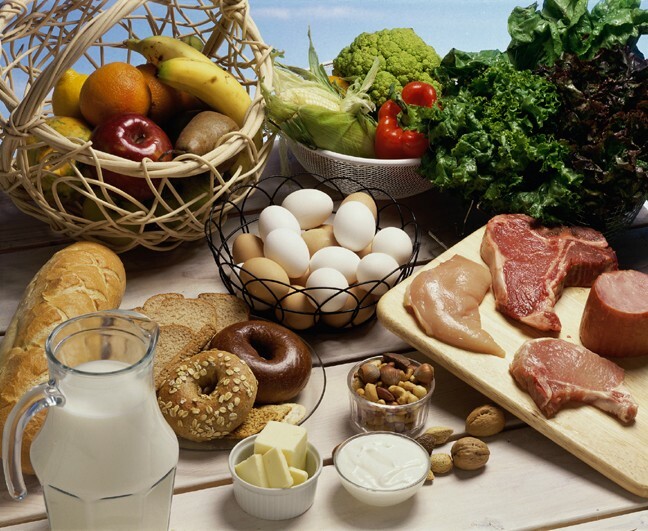 Some tips to design your diet during menopause are discussed below. Tofu (1/2 cup = 227 mg). Iron. Iron is found in lean red meat, poultry, fish, eggs, leafy green vegetables, nuts, and enriched grain products. 8 milligrams of iron are required every day in your diet. It will help to control hot flushes and mood swings. Reduce Fats in Food. Get minimum calories from fats, Saturated fat raises cholesterol and increases your risk for heart disease, these are found in fatty meats, whole milk, ice cream, and cheese. Reduce Sugar in your Diet. Sugar raises sugar levels quickly and sugar level also drops fasts. It may result in weight gain. Reduce Salt in your Diet. Too much sodium in the diet is linked to high blood pressure. Avoid canned food, if this is not possible; make the best selections for a healthy lifestyle by carefully reading labels. Stay hydrated, as thumb a rule; drinking eight glasses of water every day fulfills the daily requirement for most healthy adults. Maintain a healthy weight, lose weight if you are overweight by cutting down on portion sizes and reducing foods high in fat. Avoid white sugar and bakery items with lot of oil and sugar, saturated fat raises cholesterol and increases your risk for heart disease. Reduce all kinds of fats in our diet, limit saturated fat to less than 7% of your total daily calories. Limit your intake of Trans-fats; these are found in vegetable oils, many baked goods. Trans-fats lift up cholesterol level and increases risk for heart disease.